Composed of red, orange, violet, blue, pink and green fire, carrying mild elements of each color. Activates innate intuition. Used to discover metaphysical source of emotional problem or illness. Assists the body to be more in tune with the higher frequencies, it also allows the information to be received from higher dimensions with less distortion. It strengthen are ability to be Divine Conduits and work intimately with the Angels, Ascended Masters, Elohim and elemental kingdoms to expand their qualities in each region of the Earth. 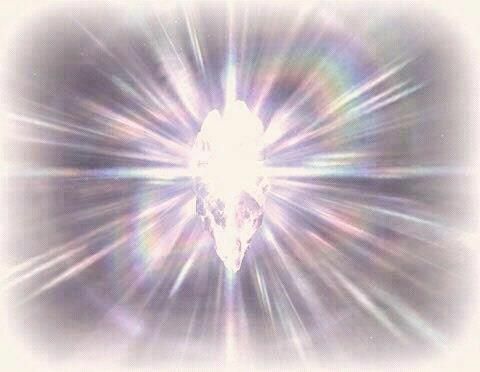 The Platinum Ray is the Rainbow Ray that synthesizes, fuses, harmonizes, joins, balances. Platinum Fire energy contains the frequencies of the seven primary fire energies . Platinum Ray comprises the manifesting qualities of all of the seven sacred fires . It is called can Rainbow Ray of Creation, uniting all of the seven primary fires and their qualities as One. It provides the internal balance of the Divine Masculine, Divine Feminine and Divine Child . It fosters the perception of everything as a unity…for example, when we see a tree and make real connection with it…our energy and the energy of the tree blend together as one, in full sacred exchange with each other. This scenario applies to all relationships. All people will regard everyone and everything as part of their total sacred self. Also it helps us to merge our left and right brain hemispheres so that our perception of reality is correctly perceived from a multi-dimensional, multi-faceted and multi-tasking whole brain perception at all times. It will help us to ground if we are too dreamy or to be more intuitive if we are too logical. Whatever we need in a specific situation will come to us instantaneously, either logic or feeling, or a combination there of.